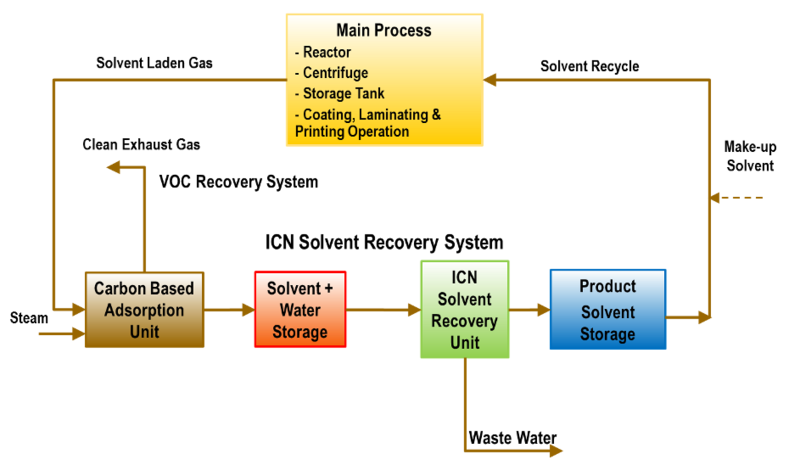 We are actively offering Process Solutions to the following industrial sectors. Why Clean & Green ? 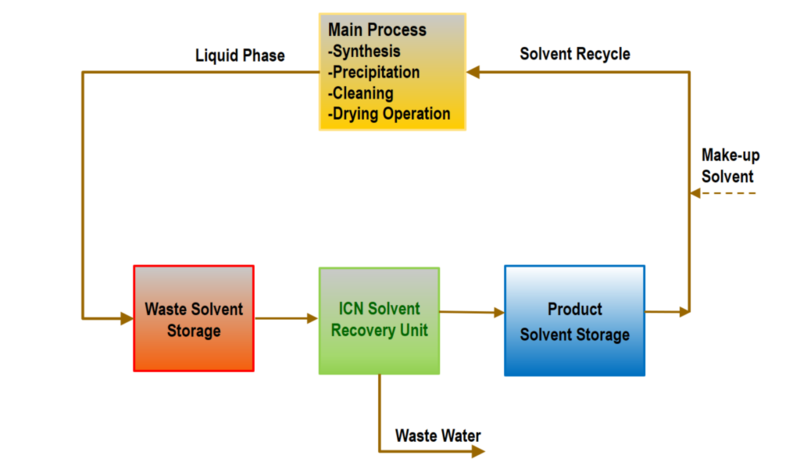 Organic Solvent-Water Mixtures are omnipresent in wide range of industrial sectors. Separation of these mixtures is required both during the manufacturing of such solvents (petrochemical & biofuel sectors) and in recovery of the solvents (life sciences, specialty & fine chemical and micro-electronics sectors). 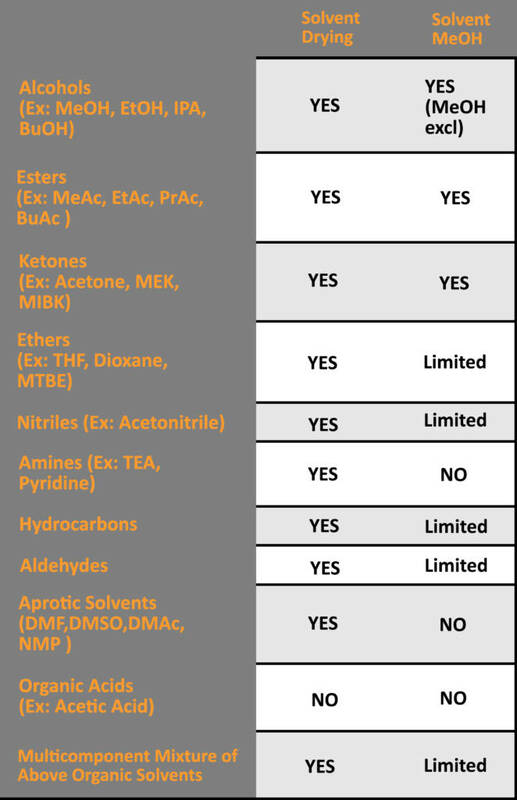 Organic Solvent-MeOH Mixtures, though not as common as solvent-water mixtures are frequently encountered in life-sciences, specialty and fine chemical sectors. Therefore, conventional solutions (e.g. distillation, salting out, adsorption) do not work as effectively as ICN solutions. The following table presents a high level comparison. 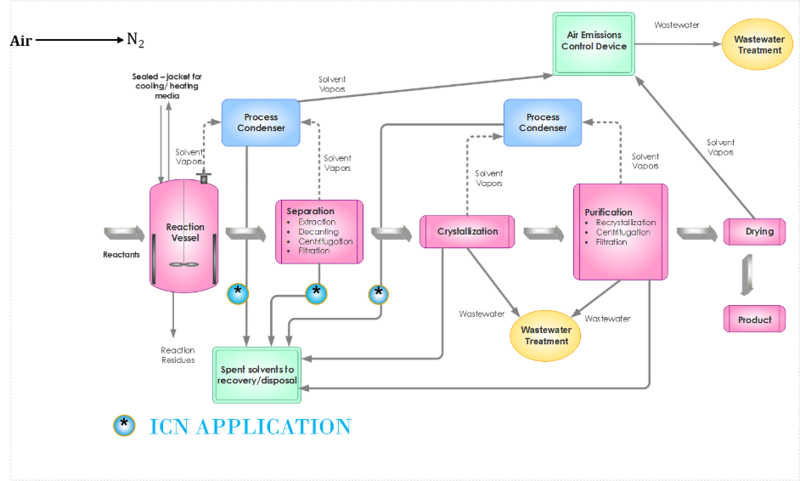 Due to its hydrophilicity, high selectivity, high flux (throughput), excellent chemical, mechanical and thermal stability, it is possible to use ICN technologies to overcome the limitations of the existing processes. Life Sciences, Specialty & Fine Chemicals manufacturing sectors use organic solvents for chemical processes (e.g. synthesis, precipitation) and other operations including drying, cleaning, topcoating, printing and film casting. These solvents often become contaminated with water as a result of their use. Since the cost of purchasing virgin solvents is continuously increasing and the disposal of spent is becoming expensive, the economics of recovery of solvents from spent liquid or air streams are very compelling. Refer Illustration. 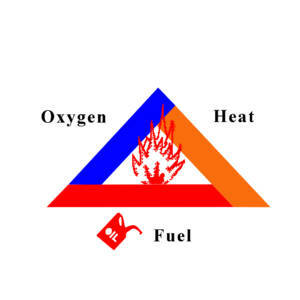 The feed streams may be in liquid phase (hydrous-solvent) and vapor (solvent-laden gas) phase. Refer Illustrations. Large quantities of solvents such as IPA, NMP, Acetone, Ethers are used in microelectronics for cleaning, degreasing, drying and other operations during manufacture. In particular, Isopropyl Alcohol (IPA) is used in bulk by the electronics industry in cleaning and vapor drying operations in the manufacturing of semiconductors, flat panel displays, disks, opto-electronics, and other electronics components. IPA used gets contaminated with moisture, metallic impurities, and organic impurities due to drag-out from prior processing steps. 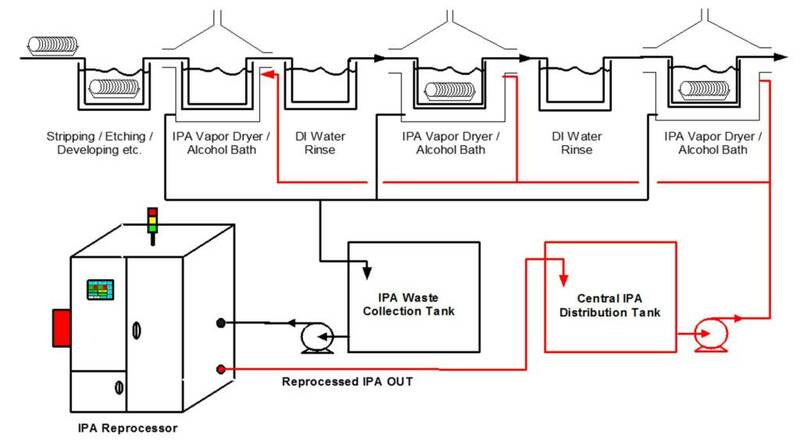 Our IPA Reprocessor may be integrated in-line in a Point-of-Use Solution or waste IPA from various lines may be collected and processed in a Central Solution. Both solutions are illustrated below. Bioethanol is growing rapidly for fuel-blending to produce green fuels. Additionally, other alcohols – such as mixed alcohols and butanol are gaining favor. 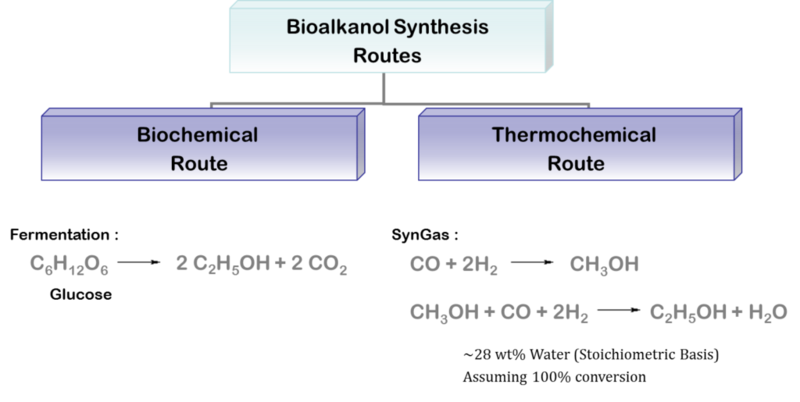 The production of bioalkanols may be fermentation based or thermochemical route. In fermentation, the concentrations vary from 1.5% to typically 12% (depends on raw material, fermentation mechanism etc.). Conventionally, the concentration of ethanol is accomplished by costly and energy-intensive distillation and dehydration operations. Molecular sieves have essentially replaced azeotropic distillation due to their increased energy efficiency and resulting lower cost of production. In thermochemical route, an alcohol rich stream with 20-30% water is produced. Conventional unit operations are energy-intensive and CAPEX intensive if energy consumption is reduced. ICN Membrane solutions are very attractive – both for green field and revamps. In Petrochemicals manufacturing (IPA, THF, Acetonitrile etc. ), water may be used as a reactant and/or generated in the reaction. It is necessary to get rid of water in the final product. Removal of water also aids in other separations and purifications downstream of the reaction. Typically, distillation is used. 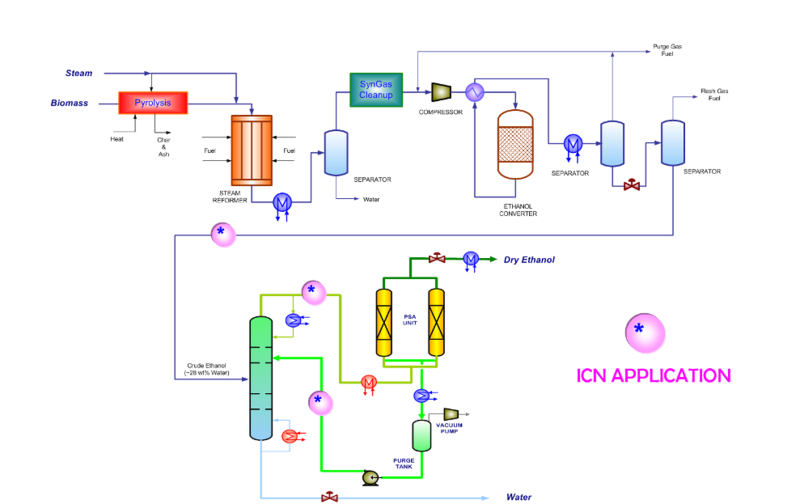 However, due to the known limitations of distillation, ICN Membrane Solutions may be used for both green field applications and revamps. Economics are generally very compelling for revamps. We offer a wide range of solutions that have been developed based on our material and process technologies. They may be stand-alone or hybrid to maximize value to the customer. Systems may be designed to operate in batch mode or continuous mode. However, intrinsic mode of operation of most systems is continuous though they may be easily integrated with batch processes. SOLVDRY VPPV COMBO SYSTEMS – Hybrid System for solvent drying using both PV and VP process modes. 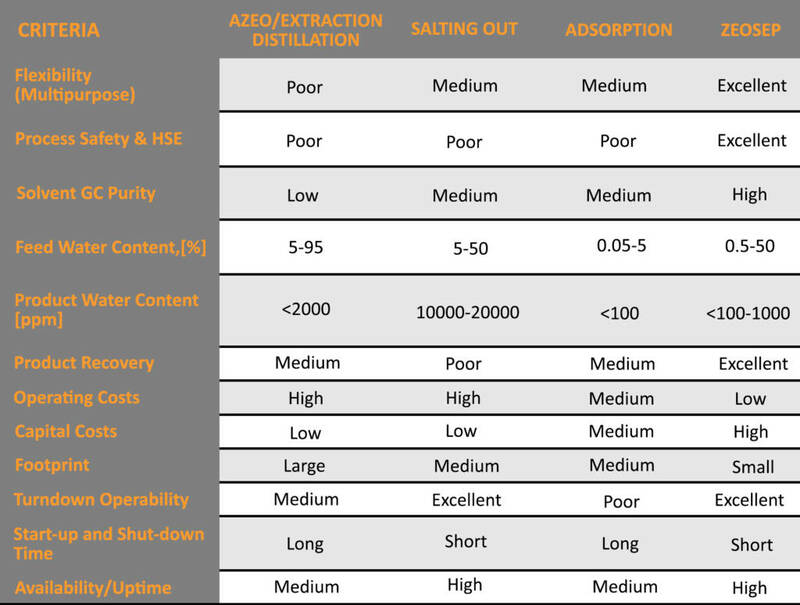 ZEOPURE ACN REPROCESSOR – Hybrid system for recovery and reuse of acetonitrile. Uses combination of proprietary configuration for ultra high purity needs. 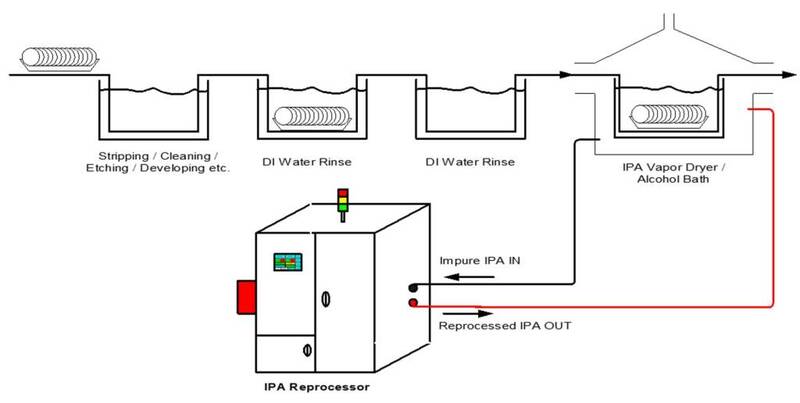 IPA REPROCESSOR – Hybrid system for recovery and reuse of IPA. Uses combination of proprietary configuration for ultra high purity needs. 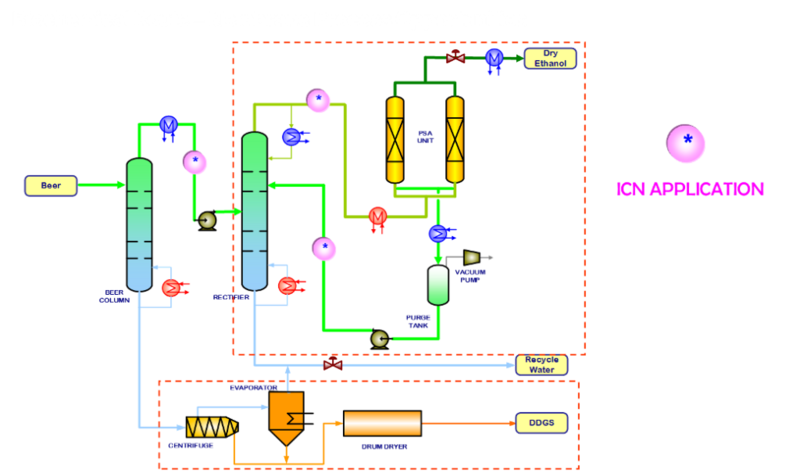 METHSEP VP SYSTEMS – Vapor Permeation system for solvent –METHANOL SEPARATION using PolyGSep VP. METHSEP MEMBRANE-DISTILLLATION HYBRIDS – Hybrid System for solvent methanol separation distillation. Most systems take liquid feed and produce liquid product. They may also be integrated with upstream/ downstream process to take vapor feed and/or product. Solvent Mixture laden gas streams need to be liquefied before feeding to our System. Minimal liquid hold-up (large liquid volumes are not stored nor processed). All vessels with hold-up purged with N2 blanket. Intangible benefits from enhanced reputation for environmental friendliness, lower possibility of law suits due to pollution, etc.